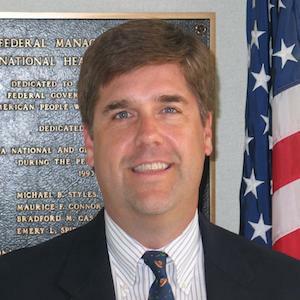 Todd Wells is Executive Director of the Federal Managers Association and has been with FMA since 2007. In this role, he oversees the management of the Association and, working with the president and board of directors, steers the policy and actions of FMA. He also serves as editor of The Federal Manager magazine. He was elected Secretary of the Federal Employees Education & Assistance Fund in 2016. Before joining FMA, Todd’s career spanned various departments at legal associations, including the American Bar Association (ABA), American Association for Justice, and the National Association of Criminal Defense Lawyers. At the ABA, Todd was the Staff Director of the Criminal Justice Section, overseeing the efforts of the department. While working with the American Association for Justice in the Education Department, he was in charge of coordinating convention training. He then moved to the Membership Department and headed the Student Trial Advocacy Competition – a series of mock trials for law students across the country, including hundreds of volunteer lawyers and judges. At the National Association of Criminal Defense Lawyers, Todd served as the Director of Education and planned all training for the organization. He also assisted with public affairs efforts and worked with the media. A graduate of American University with a B.S. in Political Science, Todd interned for then-Senator Al Gore. The experience was invaluable, but also taught him that he would rather work with Congress than for it. Dave Stamey FEEA 2017 Scholarship Application Now Available!